The Great Sanhedrin alone had the right to appoint, or confirm the appointment of, the high priest. His consecration might take place only in the day-time. Two high priests must not be appointed together. Every high priest had a “mishneh” (a second) called the Segan, or “memunneh“, to stand at his right; another assistant was the “Catholicos“ (“Yad”, l.c. 16–17). 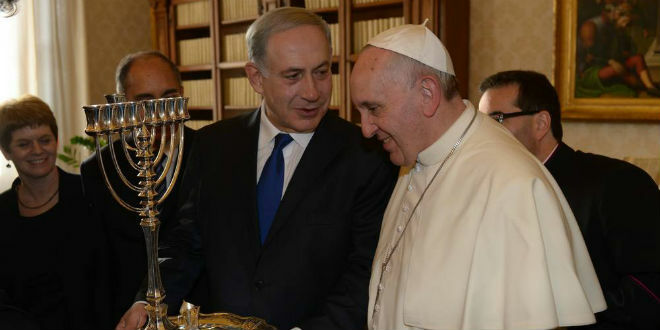 In a landmark document, the Vatican announced on Thursday that Catholics should stop missionizing Jews and should work with Jews to combat anti-Semitism. “A Christian can never be an anti-Semite, especially because of the Jewish roots of Christianity,” the document stated. The release of the document comes on the heels of the 50th anniversary of the historic Nostra Aetate, in which the Vatican absolved the Jews collectively of guilt for the death of Jesus and began a theological shift inside the Church, calling for more open and friendly relations with other religions. Since ascending to the Vatican’s top spot, Pope Francis has shook up the foundations of the Catholic Church with new policies, challenging years of theological history.